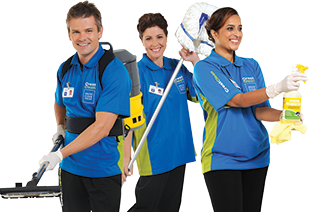 Grant McLauchlan with CrestClean India personnel. 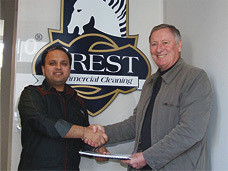 Ajit Jain and CrestClean chairman Martin Perkinson signing the Master Licence agreement. CrestClean India's Shikha and Ajit Jain with Grant McLauchlan from CrestClean New Zealand.